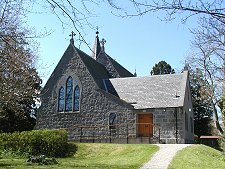 Alford, pronounced without the "L", lies on slightly rising ground just to the south of the River Don as it makes its stately progress through the fertile valley known as the Howe of Alford towards Aberdeen and the sea. It was the river, or rather the bridge that Thomas Telford built over it in the early 1800s, that started Alford's growth. 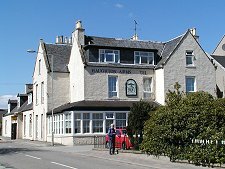 What really got things rolling, however, was the building here of the Haughton Arms Hotel in 1850. 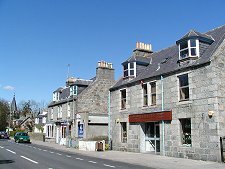 In 1859, Alford also became the terminus of the Alford Valley Railway which connected the village to the main network through Aberdeen, and its future was assured. In more recent times Alford has benefitted from its relative proximity to Aberdeen and the oil wealth created there. This has led to a steady growth in services, amenities and population. Alford lost its railway in 1966, in common with much of the rest of rural Britain. Unlike much of the rest of Britain, however, Alford regained its railway after the 1966 cuts. 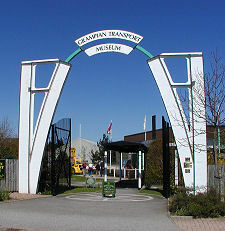 In 1983 the village became the location of the Grampian Transport Museum, on the north side of the centre of the village. 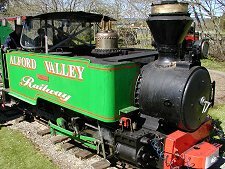 In 1985 the Alford Valley Railway Museum introduced a passenger service on a mile of 2 foot gauge track. Not as a means of transport to anywhere in particular, simply for the joy of travelling such a nice railway to nearby Haughton Park. Visit our separate Feature Pages on the Transport and Railway museums to find out more. 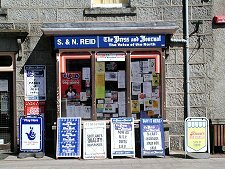 Today's Alford is an attractive place built largely of reassuringly substantial grey stone. 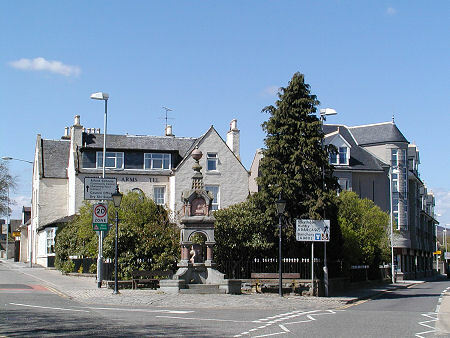 The Haughton Arms Hotel still dominates the centre of the village, but is now set within a broad street of shops and large houses. As well as the transport and railway museums it offers residents and visitors a Heritage Centre, a dry ski slope, a swimming pool, and a golf club. It also offers a large parkland camping and caravanning site in Haughton Country Park. 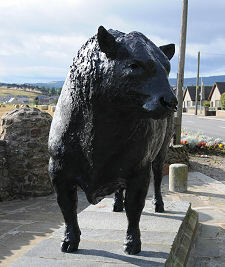 Beside the A944 as it enters Alford from the east is a life size bronze statue of an Aberdeen Angus bull. This celebrates the origins of the breed in Alford in the 1800s. A few miles south of Alford is Craigievar Castle. This is a unique tower house built in the 1580s and converted to its current from in the early 1600s. Viewed end-on as shown on this page, its turrets and spires give it a fairy tale air. From the side it has a fascinating curve and looks for all the world like the pinkish conning-tower of an exceptionally large submarine. 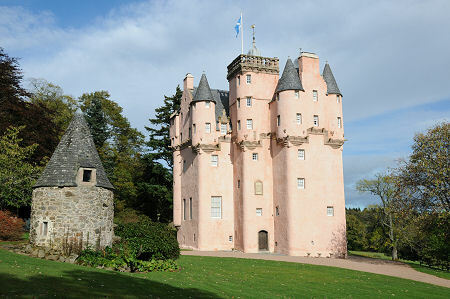 Craigievar Castle is in the care of the National Trust for Scotland.